With so many planets moving in a retrograde motion this is an opportune time to clear emotional blocks, and reassess who and what we want in our lives. While focusing on the planetary shifts and the impending full and new moons I invited my guides to share three crystals that would help us ride the wave of energy. The general message from them is to take advantage of this natural flow to move backward and inward, while awakening desires we nurtured previously and did not fulfill. The first crystal to support you this month is Morganite, a pale pink stone that oozes gentleness. Morganite will support your journey through Venus Retrograde – it turns direct on September 6th, 2015. It won’t take away the pain of growth, or the relationship turmoil that goes with it, but it will wrap you in cotton candy while you figure out what you most want in your life. It can make you more vulnerable because pink opens your heart wide and there are no defenses when this happens. This vulnerability allows any emotional “stuff” to rise to the surface. Its release creates the space for healing to occur. Morganite helps reveal unexpressed emotions. 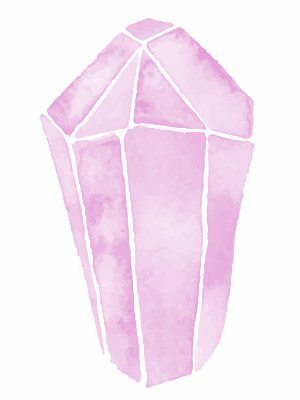 Placing a piece of Morganite over your heart and then making an intention to heal it will begin the process of karmic release. It opens your heart wider than usual so you can receive more blessings in the form of unconditional love. For the period between the new and full moons your crystal is Citrine, a beautiful golden yellow stone of abundance, prosperity and success. With so much chaos going on in the heavens we are offered a glimmer of hope. Citrine is perfect for the Leo new moon vibes. It’s like the pot of gold at the end of a very haphazard rainbow. The theme for this period is to “let your sun shine!” Leo is a creative sign whose leader is the sun. Citrine is a creative and regenerative crystal also ruled by the sun. So we are being encouraged to use the combined power of the sun and moon to set our intentions. 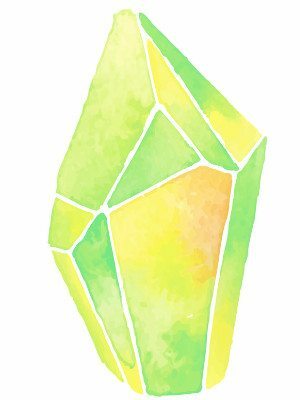 Citrine can be used in any number of ways, but I feel this is a magnificent opportunity to bring abundance into your life by using a crystal grid. Get one set up before August 26th when Jupiter the planet of abundance and good fortune and the Sun are in alignment. This heavenly arrangement will super charge your grid’s energy. Amongst other things citrine supports the manifestation of new ideas and not just abundance, so your grid can help you find a way to heal, attract a committed relationship or get a new job. You can find out how to make a grid in my post, HOW TO MANIFEST LOVE & ABUNDANCE USING A CRYSTAL LOVE GRID. Simply switch out any of the pink stones for citrine and write your intentions on a yellow or gold piece of paper or use white paper and write them in gold, orange or yellow ink. 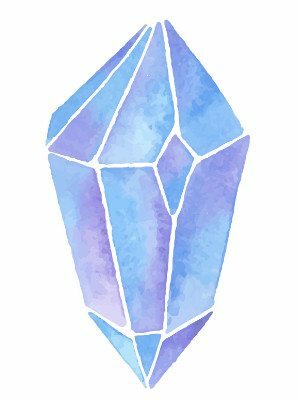 The final crystals are for the full moon in Pisces on August 29th. This is a super charged moon meaning the moon is close to our earth and as such will have a stronger impact on the oceans and on our inner waters. Moonstone is an obvious choice to support this journey, but I am also shown another stone to go alongside it, Phosphosiderite. This is a lavender pink stone that can calm and de-stress emotional situations. It links with the heart and perfectly aligns with the spiritual side of Pisces. I feel the two stones are being called in to help us completely let go of anything that has been weighing the soul down and no longer serves its highest purpose. Phosphosiderite raises your vibration making it easier to communicate with your angels and guides. I am shown the best way to work with them during this time is to have one under the pillow and one in your hand while sleeping or meditating. Everything is energy, so if you don’t own the crystals invite your guides and angels to bring in the matrix vibration of each crystal. Drop me a comment below and share how you’ll use these crystals to raise your vibration and find your higher self!